You may have noticed from reading my posts that I adore things that are cute, playful, sweet. etc. Well, pinwheels are certainly no exception to that rule. They make just just as happy as polka dots and powdered sugar! 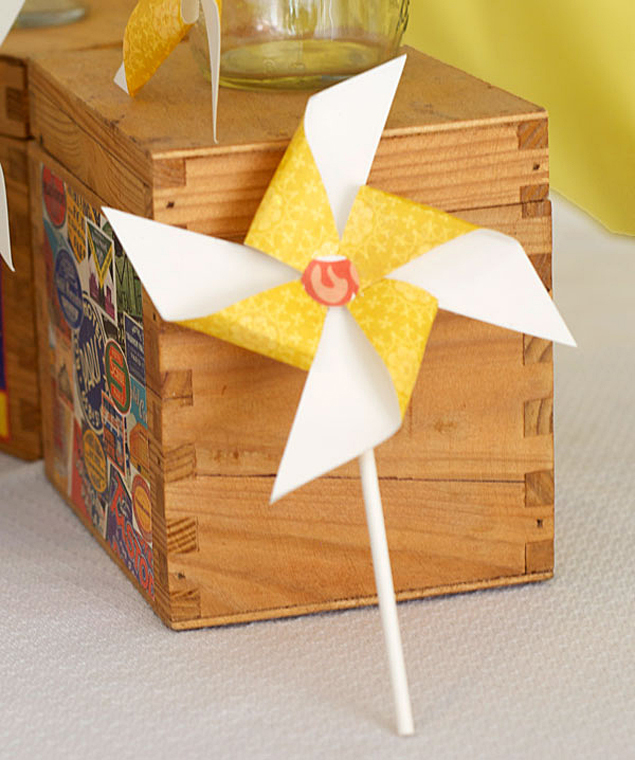 Pinwheel decor is a cute and playful way to dress up your wedding event. 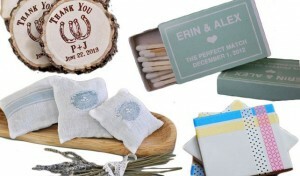 They are sweet little details that would be perfect for a bridal shower, outdoor ceremony or backyard wedding. 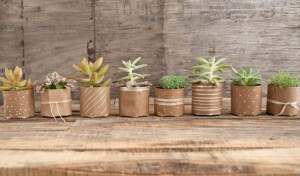 They are also very easy to DIY!! 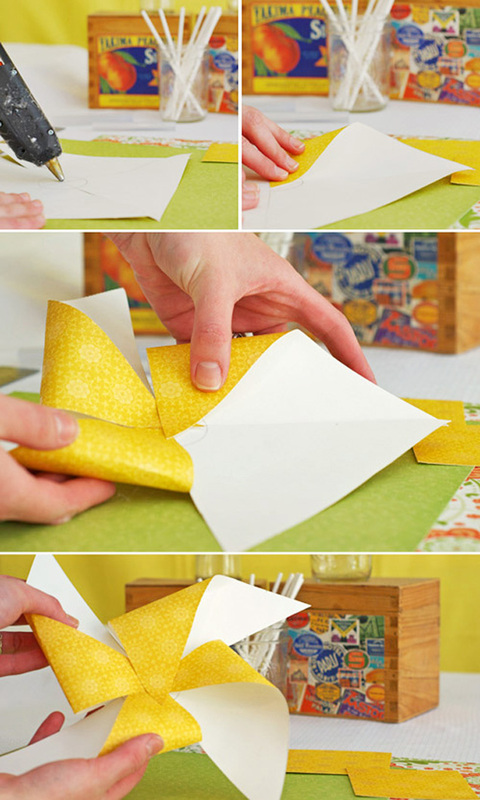 Below is a simple tutorial for creating your own DIY paper pinwheels! 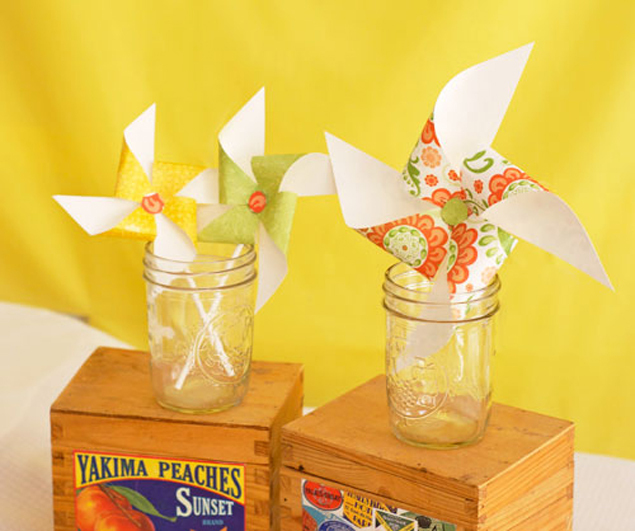 Note: This tutorial is for pinwheels to hang or place as table decor. They are not spinning pinwheels. 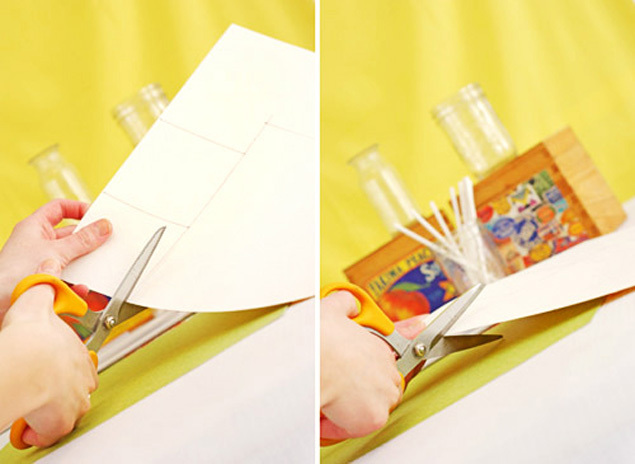 Step 1: Measure out squares on your craft paper. Pinwheels can be whatever size you prefer – multiple sizes are always fun! 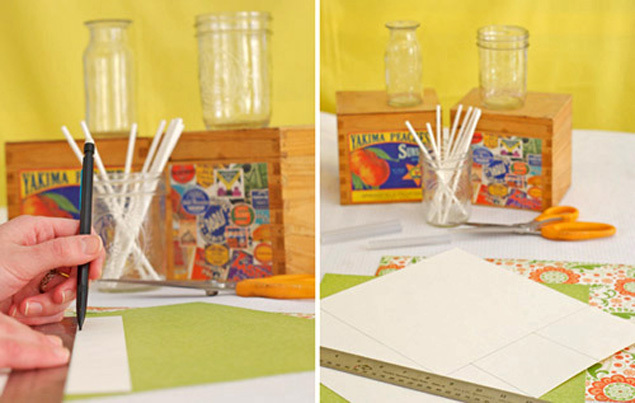 Step3: Using your ruler, draw a straight line connecting opposite corners. You’ll have an X through your square. 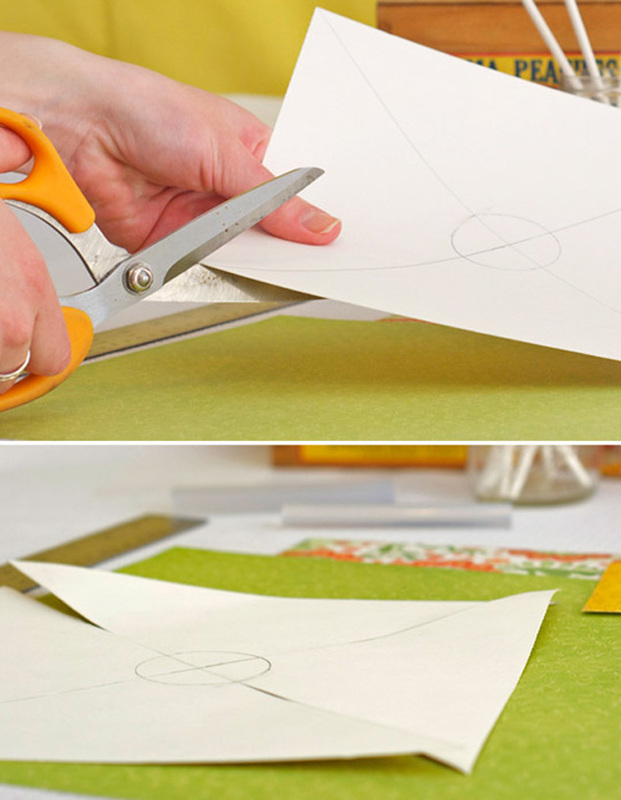 Now, trace a small circle in the center of your X. Step 4: Starting from the corners, cut in along the diagonal line. Stop when you reach the edge of the circle. 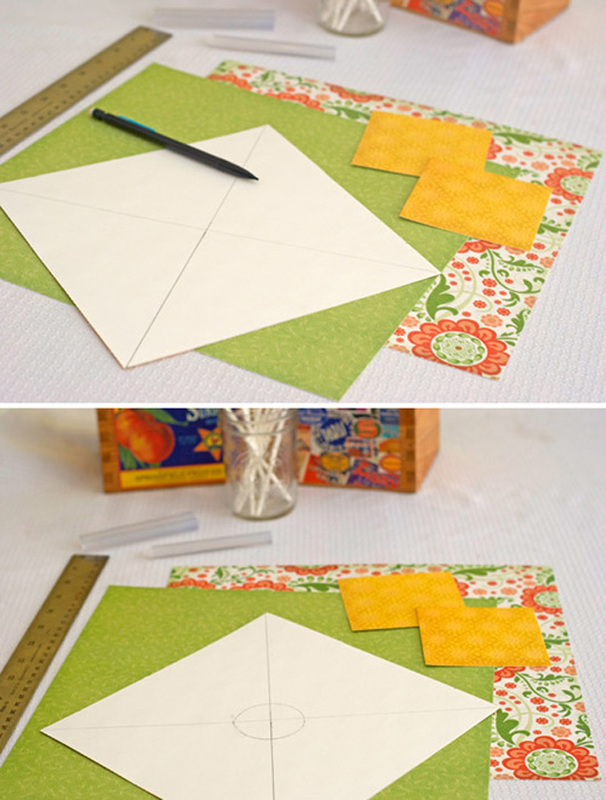 Step 5: Your square is now divided into 4 sections. Place a dab of hot glue in the center and pull in the left corner of one section to the middle and hold until it is glued in place. Repeat for the other three sections. Step 6: Finish off your pinwheel by adding an embellishment to the center. 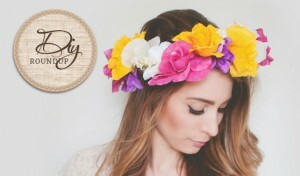 Buttons, min poms, just a circle of different colored paper… anything will do. For my large pinwheel I even added a mini Fabric Flower. 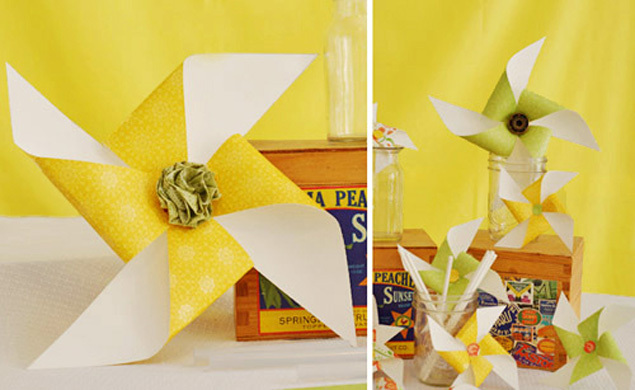 These adorable pinwheels can be hung on the wall as decor or set up as a table display. 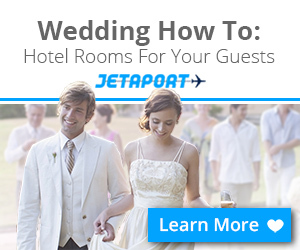 Really, you could use them in any part of your wedding day. Even glue a pin-back to the smaller ones and you have little pinwheel boutonnieres! If you’d prefer to stand them in a vase or use as cake/cupcake topper, all you need to do is glue a post to the back. I used lolli pop sticks for this. Remember, if you’re glueing the pinwheels, they won’t spin!